Now you know if this page is worth reading! Click on the thumbnail pictures below to reach the various sections! 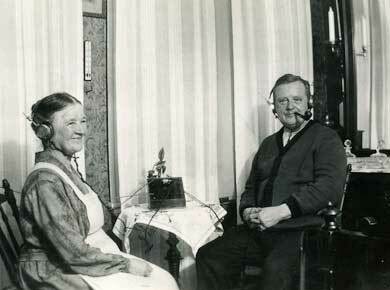 Both Margareta and Pär were brought up in homes with much music. Margareta and her mother went by train (30 km) to the town Umeå in rain as well as snow, for concerts with the Symphony Orchestra with or without a famous soloist from Stockholm or abroad. Pär played from his father’s sheet music for piano, listened to the concerts in the radio on sundays, and bought LPs with his pocket money. His very first classical record (30 cm 78 rpm) was Sibelius’ Finlandia! He also attended the performances of the Symphony Orchestra of Nyköping. A good start for both of us, and as we continued and cultivated this interest over the years, our shelves for music recordings are filled with records. The old LPs had to move a bit for all these CDs! And the CDs are copied as mp3 files, only to our own computer. 1986 – 2002 Sollentuna featured the “Amorina Recitals” – series of chamber music during the dark winter months. Every year we enjoyed five splendid concerts with fabulous artists. Pianists from many countries have been our guests! 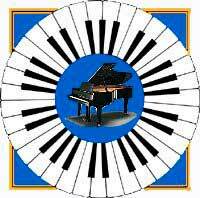 Swedish pianists of course but also from Japan, Australia, Canada, Great Britain, Russia. Marc-André Hamelin was here four times during these years. We got involved in this event, with Margareta’s pastries for the intermission coffee, and Pär was the auditor in the “Friends of Amorina Recitals”. We designed the home page for Amorina Recitals, with information about the concerts and the artists during the season of chamber music in Sollentuna. Alas you cannot find it any more on the Internet, that web address is now closed. 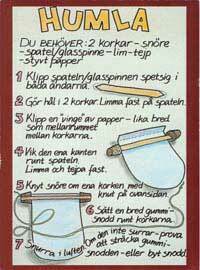 Only one page is still to be seen – the one about the pastries (only in Swedish, however). Every night the teenager Pär listened to the radio – Voice of America – between 20-22, with popular jazz music the first hour – Les Brown or Glenn Miller, the second hour was filled with the “real” jazz. The dance music at the school dances was jazz music played by school bands, and many of the school mates were also interested in jazz music. For example we borrowed someone’s dad’s Opel Rekord to go to a concert some 100 km away to listen to Lars Gullin, who was Sweden’s best baritone saxophonist. Margareta got as a Christmas gift 1956 a ticket to a concert in Umeå with the one and only Louis Armstrong and his orchestra! Poor musicians! It was below 30 C almost every day, right in the middle of the winter and much snow! 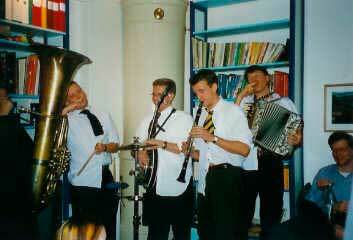 But they managed it – and the concerts were great! The years of the teenage are perhaps a mould form for the rest of ones life. We still like the jazz of the 1950s and the good oldies too (Ellington, Armstrong, etc). Since Pär has been a choir member for many years, we want to present a small special section about choral music. He has stopped making noise together with others and is now in the audience when our daughter sings in the choir Västerås Kammarkör. Before that she sang in Mariakören (the Västerås cathedral choir), where her husband is still a member. Both were members in the former Aros Vocal Ensemble (AVE), but still their music is to be heard on this link on You Tube. Singing in a choir is one of the best hobbies you can have. It is inexpensive, even if some choirs take a small charge to cover for sheet music, conductor fees, and such. The instrument is free, unless you want to develop your voice by taking lessons. You meet many people with whom you share one common interest, and they come from many different backgrounds.The rehearsals make you forget your daily chores for a while – they demand your full attention. The concerts then come as the cherry on the cake – if you are well prepared, that is. 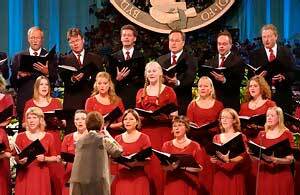 Choral Net links to thousands of choirs all over the world. Akademiska Kören i Stockholm – the choir which Pär most of all remembers with pleasure. Mariakören på körtävling i Wales, som de vann! Karin högst i mitten, Magnus andra från höger. Songs and music from early childhood, and even earlier especially if you are a singer or musician, will probably give the child an interest in music later. Anything will be fine, nursery rhymes, traditional songs, Beatles, ABBA, records from the parents’ shelf … Our children got a mixture of all kinds of music and they now sing and play together with friends in many ways and in many connections. The little girl, who just managed to climb the piano stool looking at the piece by Beethoven her Dad just played, is now a grown up person with a genuine fondness of music of many kinds. 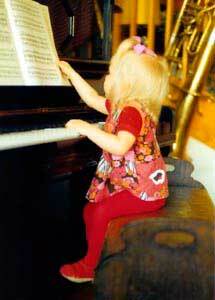 The extra lessons of music in the school (oboe, piano, choir) was a nourishment that gives her pleasure all her life. Please, no whale’s or dolphin’s singing mixed with synthetic piano-up-and-down on the keyboard! Or CDs with “musical jelly-fishes” floating around at the sound of pan pipes. The grand finale of Ludwig van Beethoven’s 9th Symphony played on a single pan pipe is definitely not a favourite. I (Margareta) bought a CD – “The Waves of the Sea”- with the thought it would be a nice gift to a friend. Luckily enough I tried it on myself first, because the enormous waves thundering from the loudspeaker made me feel that I was drowning. Why did they not record a quiet flap-flap against the pebbles of the beach or a boat side, and seagulls and other birds too? But perhaps they recorded it on a stormy day? I prefer Nils-Aslak Valkeapää – Goase Dušše, the Bird Symphony winning the Prix Italia 1993. Different birdsongs, mostly birds from the Scandinavian mountains and a year of the sounds of the mountains, still available on CD. When listening I use to nod off in May and wake up when the herd of reindeer returns from the summer grazing. Moments of total relax. No mosquitoes either! Click at the picture to the right and listen to a sound clip from the Bird Symphony! – But note, the file is 518 KB. Naturbokhandeln on Öland can help you find many CDs with Sound Landscapes from different parts of the nature, with NOTHING else involved. A fine thing to listen to when the winter and cold weather make you feel miserable. It will be spring again! Listening to the radio while working at the computer is nice – there are net radio stations all over the world sending all kinds of programs, among others good music. But much has happened since we first made this web site. Today the supply of net radio is gigantic. Finding stations with good classical music is not so easy, however. Many broadcast rather boring programs with classical highlights. Here is a site to start with – Classical Live Online Radio. Accuradio –at least the jazz department seems to be quite good, the classical part is perhaps not in our taste. Denmark radio – many music channels, for instance a good classical one, and one with mixed jazz (Hør netradio ⇒ DR Klassisk / DR Jazz). Amazon, Frankrike – french chansons are hard to find in Sweden, but, but Amazon.fr has all the old and new artists. Swedish Jazz Association – lots of links to artists, clubs, festivals, events, orchestras, record companies (in Swedish). Then there are all the variations of downloadable music, legal and illegal. For instance Spotify, which also has classical music, but unfortunately often recordings of lower quality. We do not provide links to music free of charge. As a practising artist one gets a bit sensitive about copyright issues, Margareta says. As you know, there are hecatombs of material in the cyber space, and with the help of Google, YouTube and others you can find your way without the help from web sites as this one. How to make your own instruments, a Humla (bumblebee)? >> see to the right! What is a serpent and how does it sound? Festivals now and then, concerts etc. Visit the museum when in Stockholm and you’ll have a lovely time, also visit the Open Air Museum Skansen or the Wasa Ship. Music need not be pompous and strictly performed by the note as the composer once wrote it, even Mozart made some musical jokes. Still many musicians do so for fun, and add some new views to old beloved tunes. After such a happening you will chuckle to yourself everytime you hear the originals! Fortunately you can find old favourites, but now on CDs, in the shops or on-line, and brighten up a rainy day with a disc of musical puns – with a “vintage” (from the vineyard of the Borge-Hoffnung-Lehrer era) or maybe a “newly pressed” ( P.D.Q.Bach / Peter Schickele for example). Victor Borge – “Laughter is the closest distance between two people”. Tom Lehrer – “Life is like a sewer… what you get out of it depends on what you put into it”. Gerard Hoffnung – and his”Music Festivals” are now available as CDs, and the books are reprinted. Buy them from his web site if you miss some of them, or from Amazon in Great Britain and Germany,if you cannot find it in some shop. Sometimes second hand bookshops have the books. Listen when Gerhard Hoffnung tells “The bricklayers lament” on Youtube! P.D.Q.Bach/Peter Schickele – In ‘Ye Olde Schickele Shoppe‘ you can find records you might have missed. Listen to the audio samples from Hornsmoke for instance. Use his excellent Site Mapto navigate. Yo-Yo Ma & Bobby McFerrin, Anna Russell, Spike Jones, Jonathan & Darlene Edwards and many other musicians – merriment with a lot of laughter and love for the music.